As a lean manufacturer, efficiency is a top goal. We’re also always looking at ways to save time and money for our customers – and ourselves. 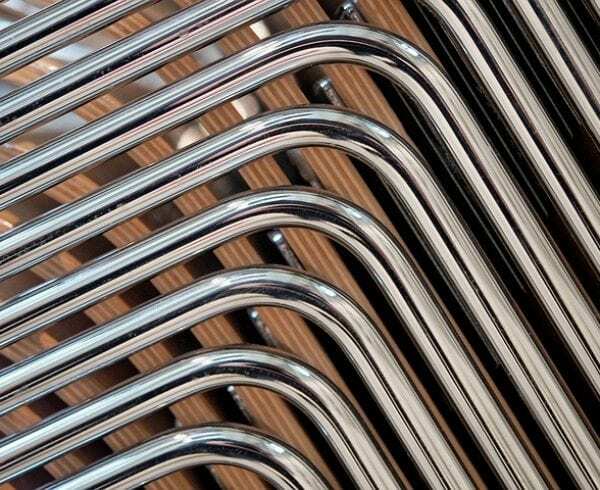 CNC tube bending has been a leading example of those efficiencies in metal tube manufacturing projects for Axenics for the last few years, and we see its continued growth. The Horn Metric TBRE Hybrid Computer Numeric Controlled (CNC) Bender located at our metals division is utilized on a daily basis to accurately and repeatedly bend stainless steel, aluminum and other metals quickly and without the need for fittings or welds. Welds, joints and pricey fixtures can be eliminated from a complex assembly system by using a CNC tool bending machine. Your completed project becomes less expensive. Fewer fittings equals a lower overall cost. 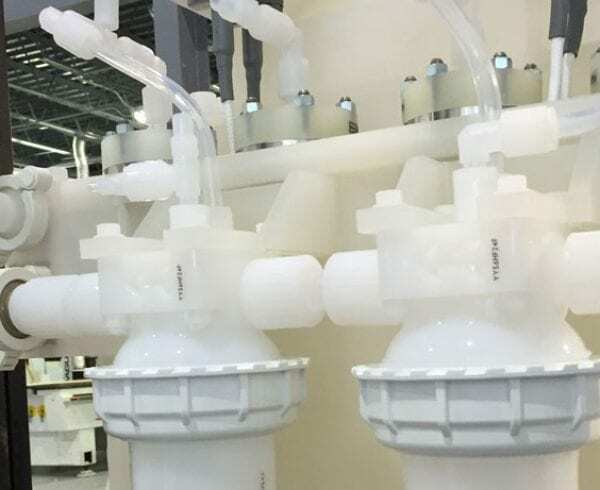 If you can eliminate five fittings from each of your 10 systems, you can effectively eliminate the cost of 50 fittings. 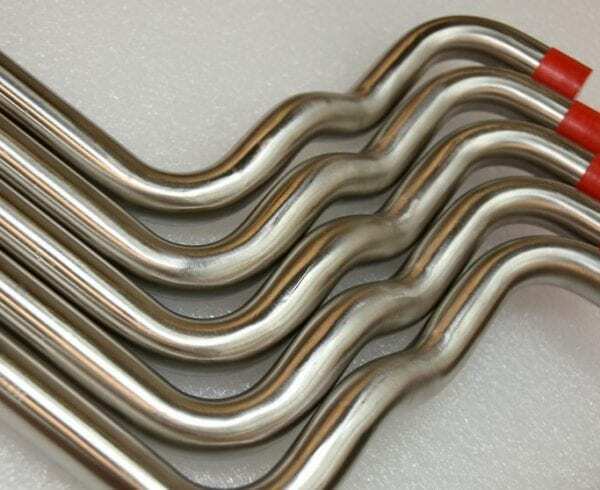 Tube bending provides an overall cleaner system overall. Eliminating welds and joints within a system means also eliminating the risk of leaks that could occur in welded or jointed complex assembly systems. 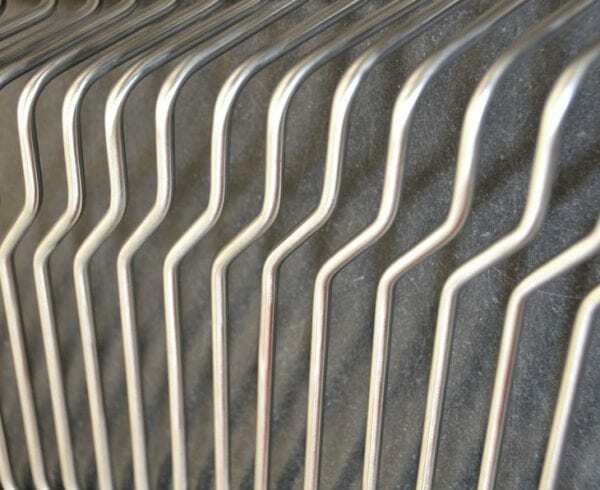 In particular, semiconductor and aerospace industries benefit from constructing systems without the wall thinning that can occur in welded systems. 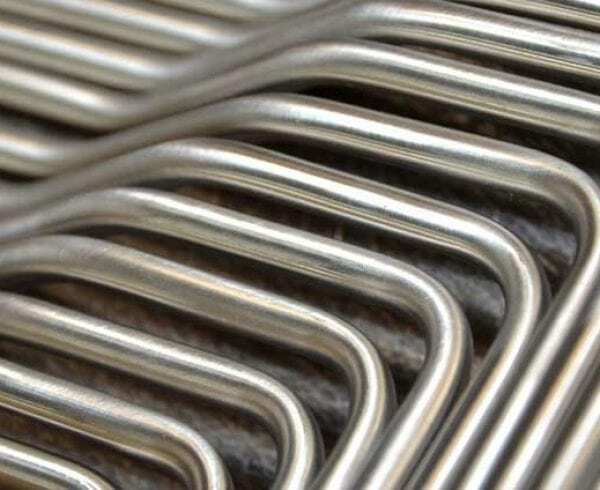 With precision tube bending, the integrity of the materials is maintained. An engineer may prefer a system that looks better cosmetically. CNC tube bending allows for a much smoother finish than welding. Flow restrictions for chemicals and liquids that could get trapped in joints or sharp corners are eliminated with tube bending. Higher-quantity projects also benefit from this option. 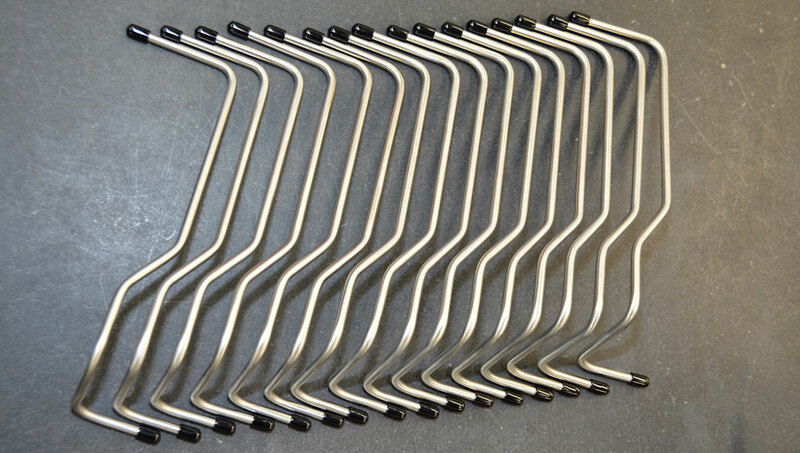 The CNC bender works best when large quantities of bends are being produced, as it allows a technician to run all the parts through the machine, which will be instantly inspected to ensure the quality of the bends. This is another time and money saver as it eliminates much of the manual work required to complete a job. A CNC bender offers consistent repeatability on many-bend jobs. The CNC bender allows our skilled technicians to customize the design and radius of the bends, so that the products can fit into smaller or uniquely-shaped spaces. Axenics is currently looking at improving the functionality of our CNC bender in order to perform serpentine bending and roll bending, which will offer many benefits to the aerospace, medical device and automotive industries. 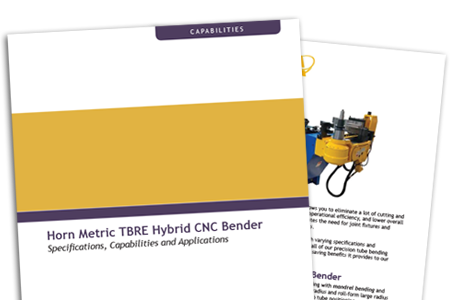 By switching some or all of your existing metal projects that involve weldments or other fittings to CNC tube bending, you could save a considerable amount of money in the long run.